What is Agile Foundation and Practitioner? Manage projects more efficiently and effectively with the Agile project management methodology. This course package introduces would-be project managers to Agile concepts, before taking them through basic and advanced principles, preparing them to sit both Foundation and Practitioner level exams. Principally designed for the engineering, IT and new product or service development industries, the Agile project management framework takes an iterative and incremental approach to the management and build process. The course will show you the key concepts of the framework and how they are applied to real-world projects to boost success rates and increase efficiency. Utilise a more incremental approach to your projects by adopting the Agile Project Management framework. Learn the Foundation & Practitioner stages so you can implement the knowledge into a practical environment with this training package. The Agile Project Management Foundation course enables future Project Managers to manage projects efficiently and effectively, boosting success rates using an iterative methodology. The second stage of the Agile Project Management methodology, where you will learn advanced principles and how to gain a practical understanding of its concepts. The Agile Foundation and Practitioner course is designed to help individuals with little or no project management experience get started quickly. Mentoring through the exclusive e-Careers Mentor+ platform, so you can get 24/7 guidance from an Agile Project Management expert to assist you throughout your course duration with industry insights and much more. Is the Agile Foundation and Practitioner online course right for me? How can I further my career with the Agile Foundation and Practitioner online course? Be better able to participate as a member of a project team that operates according to Agile principles. Be better able to apply the Agile project management framework to company projects, raising standards and success rates accordingly. Be able to provide basic Agile methodology guidance to colleagues or third parties. Have the skills and experience required to work as part of an Agile project team, or secure a job elsewhere in the sector. Why study the Agile Foundation and Practitioner distance learning course with e-Careers? Foundation and Practitioner eLearning gets Category C - 28 PDUs. Using a series of instructor led videos and self-study manuals, the Agile Foundation and Practitioner course is delivered online via the learning platform. This system allows you to access content anywhere at any time, so you can study whenever and wherever is most convenient for your needs. A series of flash cards allow you to test your understanding, and a number of practical scenarios in each module can be used to practice common responses, or to see how the framework can be applied to real world scenarios. You can also discuss topics with other learners using our social network, adding another learning channel by which to further improve knowledge and skills. What are the Agile Foundation and Practitioner course modules? What does that Agile Foundation and Practitioner online course cover? Build your digital marketing career by taking this course and developing your knowledge in key digital marketing concepts including SEO, PPC and social media marketing. Build a comprehensive understanding of internet business, data networking and website design with this CIW Web Foundations Associate. 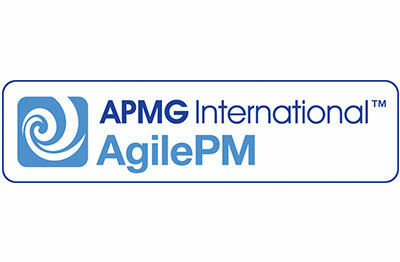 Hello, I am interested in your "Agile Project Management (AgilePM®) Online".